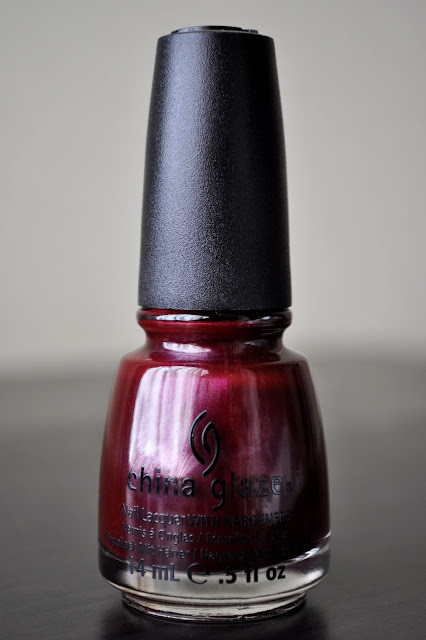 Originally part of the 2011 Fall Metro Collection (I LOVED this entire collection) and from my nail polish vault, I bring to you the much loved, China Glaze Loft-y Ambitions. 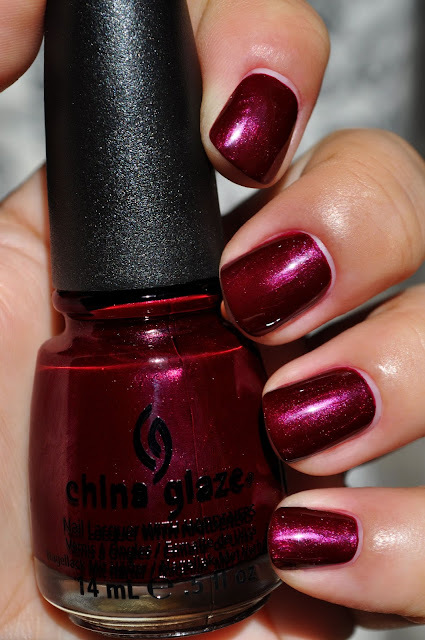 A gorgeous formula and a dream to apply, Loft-y Ambitions is a deep chocolate-cranberry glossy-creme, loaded with fuchsia, red, purple and silver micro-shimmer. I love catching this two-coat beauty in the sunlight; simply radiant.